Why choose Nuffield Health Leicester Hospital for your gastric band surgery? Our recently refurbished private hospital provides the perfect setting to begin your life changing weight loss surgery journey. Our highly experienced consultant bariatric surgeons will guide you every step of the way, from your initial consultation through to your aftercare post gastric band surgery. After your gastric procedure you will be well looked after by our professional matron-led nursing and healthcare team in your very own private en-suite room. Is gastric band surgery right for you? If your BMI score is over 40 (morbidly obese), gastric band surgery could help you to achieve long-term weight loss. Surgery may also help if you have a BMI over 35 (severely obese) and have other medical conditions such as Type 2 diabetes or high blood pressure. 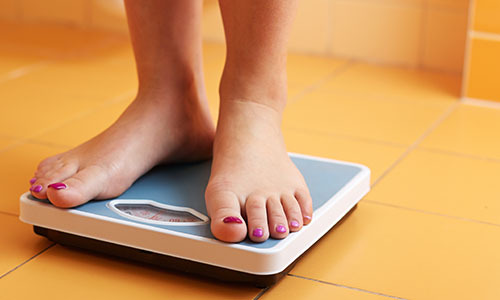 Your bariatric surgeon here in Leicester will confirm your BMI and carry out a detailed personal assessment before deciding if surgery is right for you. Most patients are able to achieve long-term weight loss and from our experience therefore achieve a better quality of life, with less obesity related health problems. However, the success of the surgery longer term depends on your ability to keep to your new lifestyle. Are there any alternatives to gastric banding at Leicester Hospital? The simple approach to losing weight involves eating less, improving your diet and doing more exercise. Sometimes medication prescribed by your GP can also help. However if conventional approaches to weight loss don't work for you there are other surgical options to gastric banding such as shortening your digestive tract, sleeve gastrectomy, gastric bypass and gastric balloon treatment. Gastric banding has fewer complications and there is a lower risk of serious complications happening. Recovery is usually faster too. Gastric balloons offer a non-surgical solution. This band is made of silicone. Many studies have been carried out to find if silicone is safe. There is no evidence to suggest that people who have gastric bands causes any problems. To help keep the band in place, they will fold some of the lower stomach over the band and stitch it to the upper stomach pouch. Every surgical procedure has a risk of complications. Be sure and discuss any concerns you might have about these risks with your surgeon. Although rare, as with any surgery there can be complications. On average, people who have gastric banding lose over half of their excess body weight.